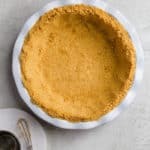 How To Make Graham Cracker Crust Recipe – This full photo tutorial shows you how to easily make a delicious and flexible recipe for graham cracker pie crust. When it comes to making new friends I’ve got a few important qualities that I look for. Generosity, patience, humor and understanding are key examples of the traits any “good friend” of mine should have. The people that you choose to surround yourself with reflect on you and offers others insight into your morals and standards. Therefore, it’s crucial to really get to know the people of significance in your life. Asking the hard hitting questions can help separate lifelong friendships from fleeting acquaintances. 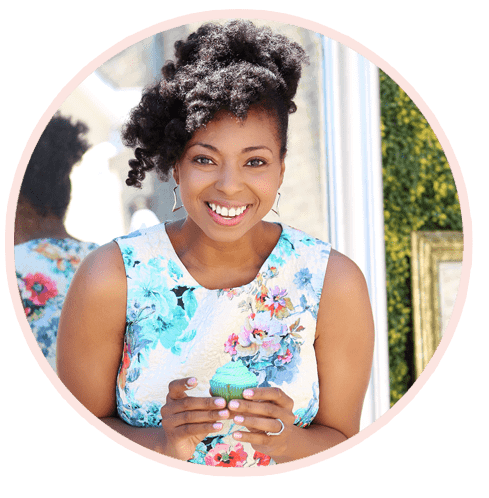 Now, I’m about to give you an insight into the way I handle this. 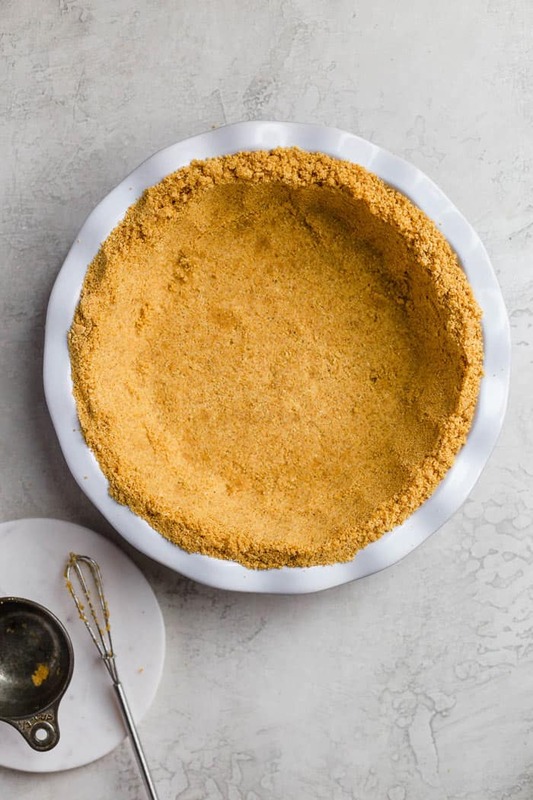 There’s one question I always ask that assures me I can connect with someone on the deepest level: Can you get down with a graham cracker crust pie? Yup, you read that right. Graham Cracker Crust pies and assorted desserts hold a special place in my heart. They remind me of childhood campfires and quick weeknight chocolate pudding pie treats. Honey sweet, buttery to the tongue and crumbly in all the right ways, there is just no wrong way to consume it. Some of you may think it’s a bit overrated, perhaps even too amateur for those with more sophisticated palettes. But I dare you to reexamine that notion. There are an incredible amount of pie crust varieties: shortbread, oreo and the classic flaky, butter filled beauty. Each version is unique by its own right and they carry their own individual flavor matches. You can fill your crust with custards, creams or fruits but the end result will always yield something tasty. Sure, a Graham Cracker Crust is simple. 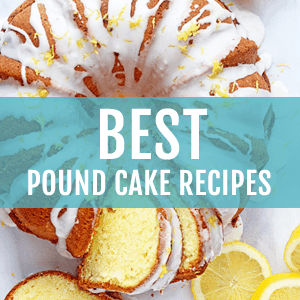 It can be made in a mere fifteen minutes with just a handful of ingredients because it is a recipe made to be both accessible and delicious. None of this should take away from it’s validity but instead add to it. The flavor and texture of a graham cracker is understated and nostalgic. Shouldn’t we celebrate that? As you might’ve already noticed, I’m a bit of an advocate for this crust. It’s importance in my life is probably a tad baffling to most people but to those who know me it’s endearing. That is why when I come across a kind stranger or encounter a new colleague I always ask the same question. 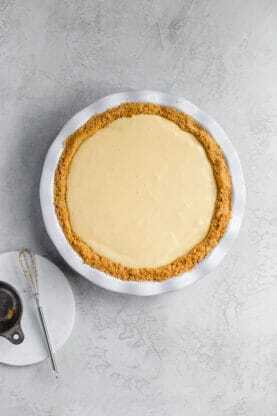 Can you get down with a graham cracker crust pie? The answer changes friends into foes and could possibly even break professional ties. Dramatic, I know. 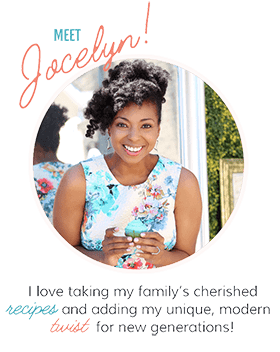 So this post is for those of you who are picking up what I’m putting down right now. If you know the gospel that is the subtle crunch of the first bite into a slice of cheesecake then you’ll appreciate the gift that is this recipe.Now, we’ve all fallen victim to the grocery store graham cracker crust and its unreliable ways. First, you’re forced to hunt through the shelf in the search of a crust without cracks, crumbles or just straight up shattered pieces. Once you’ve found what you’ve deemed to be the perfect one you take it home just to find its been damaged in the shuffle of things. So now that key lime pie, classic cheesecake or summer fruit tart on the menu for dessert is no more. I’m here to tell you there’s a simple solution; one that requires no more than fifteen minutes of your time and only three ingredients to prepare. Homemade Graham Cracker Crust is one of easiest ways to not only save time and stress but also make your recipe more satisfying and delicious. After you’ve made this crust once, you’ll never find yourself in that dreaded grocery aisle again. 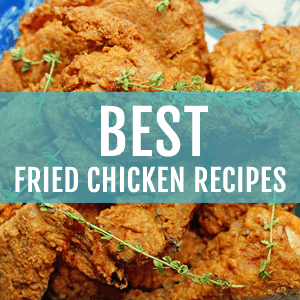 Start by preheating the oven, by the time the crust is prepared it’ll be good and hot. You’ll need graham cracker crumbs, which can be quickly made by placing your graham crackers in a food processor and pulsing until they are fine crumbs. 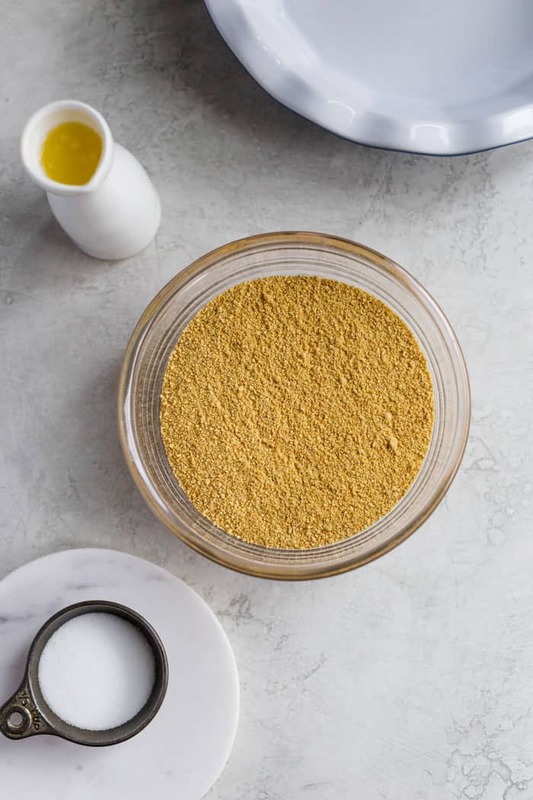 If you do not own a food processor, place the crackers in a large ziploc bag, seal properly and go to town on them with a rolling pin or meat tenderizer. Great way to relieve a little tension! 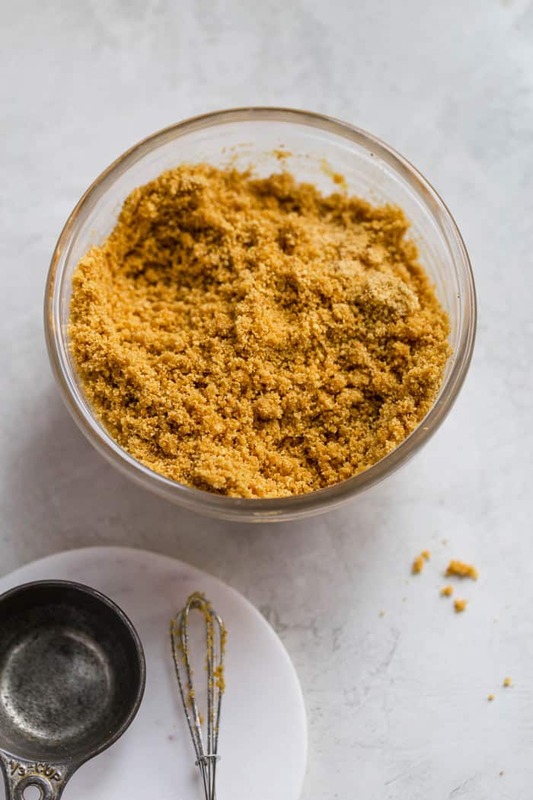 Place your crumbs, sugar and butter in large bowl and mix together until the mixture is a little bit crumbly but holds together when squeezed in your hands. 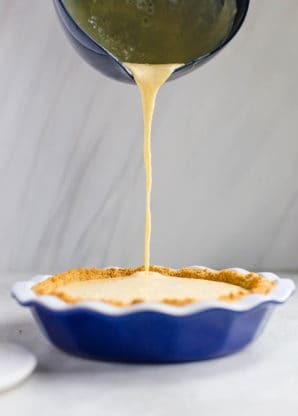 Next, scoop the mixture into the pie dish of your choosing and press it down firmly on the bottom and up the sides. You can use the back of a spoon or bottom of a measuring cup to help create a smoother, more even texture. Finally, pop that crust in the oven and bake for ten minutes so that you’re crust will be nicely set. There you have it, a simple, homemade buttery crust that crumbles in all the right ways. All you have to decide on is what delicious filling to use tonight! Note, this recipe can also be cut in half to fit the size of your pie dish or match your preferred crust thickness. 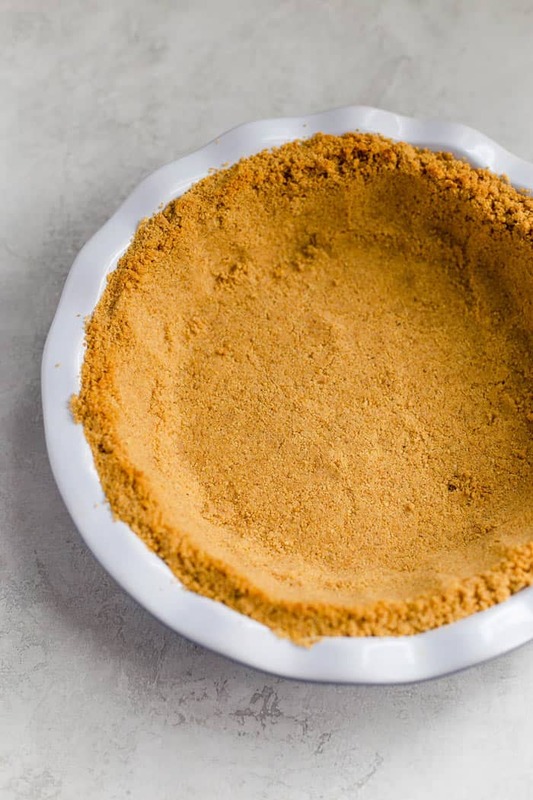 If you like this graham cracker crust recipe, then I know you’ll love some of my recipes that put this recipe to good use. 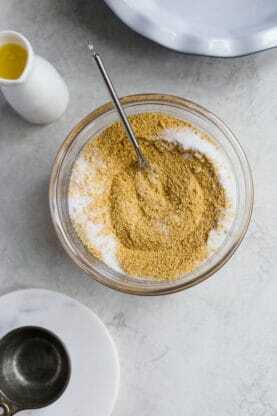 Whisk together graham cracker crumbs and sugar until combined in a large bowl. 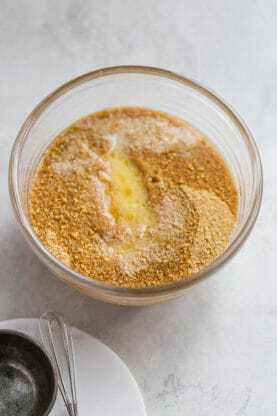 Next pour melted butter into mixture and mix together until crumbs are well coated. 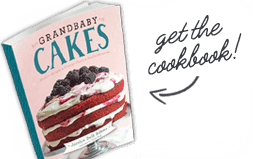 This recipe can be doubled if necessary for cheesecake crust or other recipes that require a thicker crust or larger pie plate. Graham cracker pie crusts are my FAAAAVORITE. Love this tutorial!